The Shine is a mindfully-curated variety show currently scheduled in Los Angeles, New York and London once every couple of months. This alcohol-free event features meditation, music from local bands, inspiring short films, grassroots philanthropy, delicious food, and storytelling. 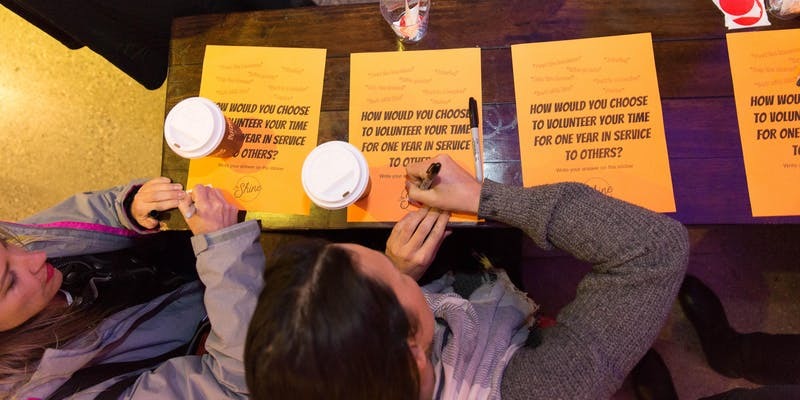 Our mission is to create a fun and welcoming social environment where attendees can strike up meaningful conversations and make lasting connections that leave them feeling inspired to do more, give more, and be more. This event is our fourth-year anniversary. The full line-up will be announced soon, but you can still reserve your seat now.